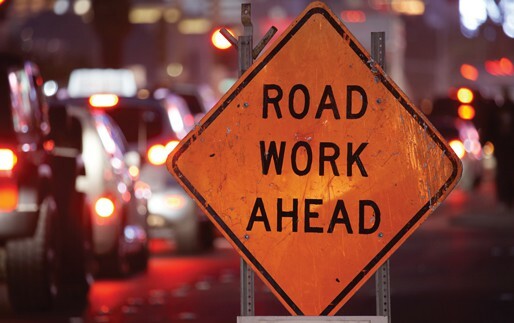 Despite best efforts to warn motorists about an upcoming work zone, motorists have the highest probability of an accident at the very beginning of the work zone – called the Leading Edge. That’s the point where lane configurations change. Add inclement weather, darkness and distracted drivers into the mix and it can dramatically escalate the chance of an impact. Selecting the best crash cushion for the leading edge of a work zone can mean the difference between life and death. Typically at the leading edge, crash cushions experience a higher number of both design impacts and nuisance hits that can reduce lifesaving capacity where it is needed most. When a crash cushion is out of service and the hazard is not fully protected, the results can be catastrophic. Self-restoring crash cushions are the ideal choice for the leading edge of work zones because they keep the hazard protected after design impacts and can withstand repeated impacts. They also endure repeated nuisance hits, bumps and rubs and remain in service. When selecting a crash cushion for the leading edge of work zones consider the life-saving benefits of self-restoring crash cushions that provide Uninterrupted Hazard Protectio™ in this high impact frequency area.